This is the remarkable story of a group of patients who contracted sleeping-sickness during the great epidemic just after World War I. Frozen for decades in a trance-like state, these men and women were given up as hopeless until 1969, when Dr. Oliver Sacks gave them the then-new drug L-DOPA, which had an astonishing, explosive, “awakening” effect (the drama film Awakenings 1990). “At least part of the neurological damage seen in Encephalitis lethargica” … “appears to be caused by dopachrome and other chrome indoles, produced by the oxidation of dopamine. The use of L-DOPA in these patients probably accelerates production of such neurotoxins. If this hypothesis is correct, it follows that combining L-DOPA with very high dose antioxidants may permit the beneficial use of this drug”. Awakenings (1990). Film. Directed by: Penny Marshall. USA: Columbia Pictures. Foster HD, Hoffer A (2004) The two faces of L-DOPA: benefits and adverse side effects in the treatment of Encephalitis lethargica, Parkinson’s disease, multiple sclerosis and amyotrophic lateral sclerosis. Medical Hypotheses 62: 177–181. Graham DG (1978) Oxidative pathways for catecholamines in the genesis of neuromelanin and cytotoxic quinones. Mol Pharmacol 14 (4): 633–643. Graham DG, Tiffany SM, Bell WR, Gutknecht WF (1978) Autoxidation versus covalent binding of quinones as the mechanism of toxicity of dopamine, 6-hydroxydopamine, and related compounds towards C1300 neuroblastoma cells in vitro. Mol Pharmocol 14 (4): 644–653. Hoffer A (1998) Vitamin B-3 Schizophrenia: discovery, recovery, controversy. Quarry Press, Kingston, Ontario. Katzenschlager R, Lees AJ (2002) Treatment of Parkinson’s disease: levodopa as the first choice. J Neurol 249 (Suppl 2): 19–24. Liao SL, Raung SL, Chen CJ (2003) Japanese encephalitis virus stimulates superoxide dismutase activity in rat glial cultures. Neurosci Lett 324 (2): 133–136. Sacks O (1982) Awakenings. Pan Books. London. 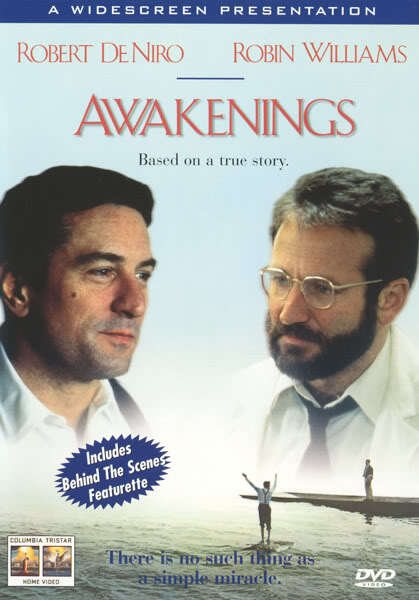 Sacks O (1983) The origin of “Awakenings”. Br Med J (Clin Res Ed) 287 (6409): 1968–1969.